Last Saturday, I completed an Ironman 70.3 race in the Napa Valley. As always, the race presented several hours of challenge, struggle, joy and triumph. During the run portion – somewhere around mile 9 – my mind was bouncing between two things: the post-race meal and the experience of finishing my first “full” Ironman (120.6) in Florida back in 2009. I know triathlon racing isn’t for everyone, but it seems like the lessons I learned that day are applicable in life, in general. 1. Pain is inevitable, suffering is optional. We all experience pain in this life. Sometimes this is emotional pain, sometimes physical pain, and sometimes you get hit with both. We can’t always control whether or not we feel pain but we CAN choose not to suffer. The run portion of an Ironman is a marathon (26.2 miles) after having swum 2.4 miles and biked 112 miles earlier in the day. For most people, this would equate to supreme suffering. And, trust me, my body was aching during that run. My knee and hips were throbbing. The soles of my feet were pulsating with pain. But I was smiling! I was laughing and joking with my fellow racers. Why? Not because I wasn’t in pain but because I wasn’t suffering. I’d chosen to be there. I’d chosen to participate in this challenge. My body was strong enough and I was lucky enough to have the resources to face this challenge…and that was awesome. Painful, yes, but still awesome. 2. If you think you can’t, you won’t. When you’re 115 miles into the 140.6 miles of an Ironman race, it’s very easy to go into a dark place in your mind, to doubt your ability to finish, to review all the work you’d done so far and how much you still had left to do before you can rest. It’s EASY to talk yourself out of trying…every triathlete I’ve talked to has those moments in a race where self-doubt starts to creep in. But the truth is, when you start to doubt yourself – when you think you CAN’T finish – that’s when you sabotage your ability to perform. It becomes a self-fulfilling prophecy, your stride starts to falter, your breathing becomes irregular, and the head starts to droop. 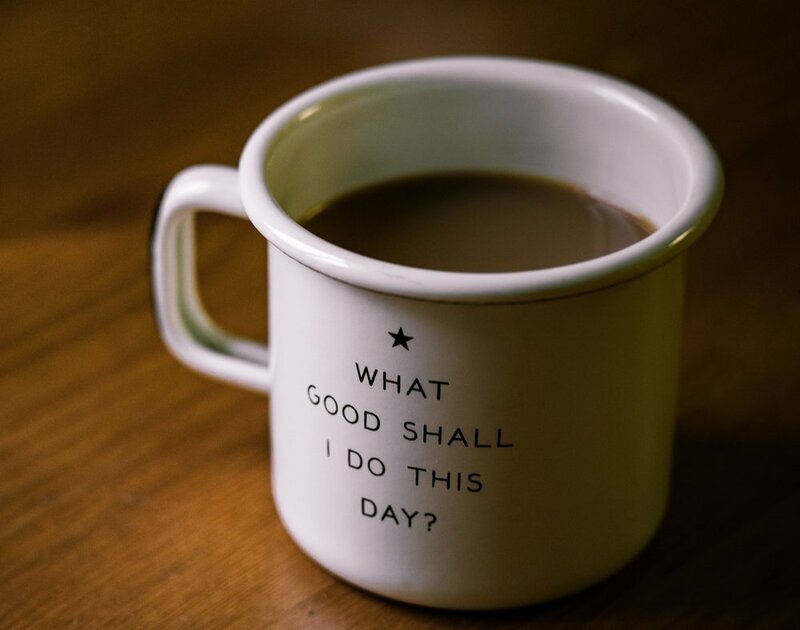 The best way to counteract this is a relentless onslaught of positive mantras – notice that I didn’t say this was the EASIEST way. Chant to yourself. Cheer yourself on. Fake it 'til you make it. Control the controllable and surrender. In those dark moments, visualize yourself crossing the finish line, hearing the crowd, feeling your feet flying across the pavement. Grasp on to any powerful, motivating image and don’t let go until you have that finisher’s medal around your neck! 3. Peanut butter M&M’s are the most delicious thing anyone can eat. Ever. During an Ironman, athletes are allowed to pack a bag filled with special items you might need halfway through the run or bike section. In my special run bag I added things like gel blocks, extra socks, sunscreen and a king size bag of peanut butter M&Ms. I had little hope that the candies would survive sitting in the Florida sun all day. When I reached into that bag at the halfway point in my run, I was amazed to find that the candies were intact. I grabbed the bag of M&Ms and left the rest of my carefully packed items. Within a few seconds, I inhaled half the package and then proceeded to share them with a few nearby triathletes. I was in heaven. The combination of creamy, proteinaceous peanut butter and smooth, sugary chocolate was indescribably delicious. I attribute my successful finish to those M&Ms. 4. A lack of expectations can lead to amazing things. In early 2009, after separating from my then husband and starting a new job, I decided to run an Ironman. I’d finished a handful of shorter distance triathlons but nothing even close to an Ironman. 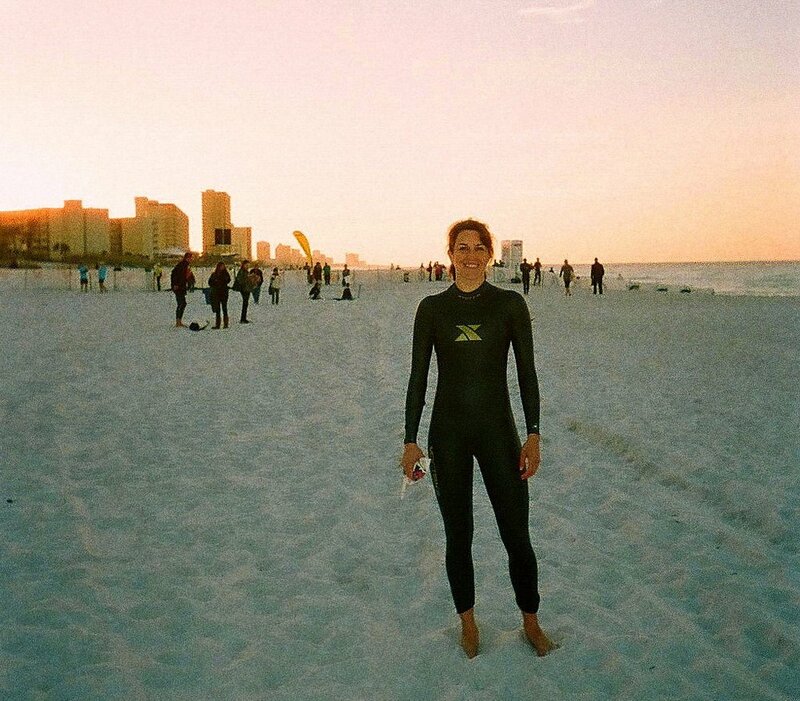 The challenge seemed insurmountable right up until the morning of the race, standing on a beach in Florida in my wetsuit; I kept asking myself “what have I gotten myself into?” Over the next few minutes, right before the starting horn was blown, I tried to talk through the fear and anticipation. I told myself that just finishing the race would be an enormous accomplishment, no matter how long it took me; I told myself: “just do your best today.” I committed (to myself) to taking each leg of the race as a standalone effort. Finish the swim. Check. Finish the bike. Check. Each time I checked off a leg of the race, I felt a great sense of accomplishment because I had no expectations around timing, performance, etc. My only expectation was to advance to the next stage. I didn’t berate myself for finishing the swim in “X” minutes or for not finishing the bike in “Y” hours. There was no judgement, just celebration! It made facing the next big challenge markedly easier! 5. Singing song lyrics to yourself can help pass the time. When in doubt, sing. There’s no other way to put this: Ironman races are long. That may seem obvious but for me, an amateur age-grouper (non-professional), the bike leg can take up to 8 hours. I have a LOT of time on my hands. In the Florida Ironman – one of the flattest race profiles – I had to find something to ‘distract’ myself. I started trying to remember the exact lyrics for every song that I could remember. Songs I hadn’t listened to in years! I searched my memory banks, desperate for a mental distraction as my legs continued to pump away at the pedals. After a while, the remembered lyrics transformed into humming and then into singing. I’m not going to say the hours flew by, but it certainly helped, and singing is always a great way to boost your energy during tough moments. 6. Volunteers are incredible people. Celebrate them. Be one. I’ve raced for the better part of 13 years across the US. Every Ironman and Ironman 70.3 race is staffed by an incredible army of volunteers. These people give up their weekend to hand out water, sports drinks, bananas, ice, cold sponges, pretzels, and food. They are there to clean up after us, to cheer for us, to hydrate us, to sustain us. The selflessness of this group of people is heartwarming in the extreme. The only word that comes to mind is gratitude. When we offer to help someone else, when we volunteer, we give a piece of ourselves to the community. It inspires me to give back, to try and give someone else what I was lucky enough to receive during all those hours of struggle and challenge. 7. Triathlon is an exercise in mental fortitude. Life is like a triathlon. Obviously, one needs to have a certain level of physical fitness and conditioning to finish a triathlon, let alone an Ironman. But one’s mental fortitude is a huge and essential component driving the successful completion of any race. It’s part of training that is often seen as secondary to the physicality. But on race day – when the universe can throw you some serious curveballs (Flat tires? Forgot your socks? Sharks during the swim?) – you better have the mental where-with-all to jump those hurdles and keep on trucking. Sounds like a lot like life, doesn’t it? 8. Anyone, anywhere can be an Ironman. Everyone can be an Ironman. Full stop. With more than a decade of racing under my belt, I’ve seen it all. Every possible shape and size of triathlete. Blind triathletes racing with guides. Amputee triathletes crushing the course. No matter who you are, if you want to finish an Ironman – if you are dedicated and willing to do the work – you can. Period. Everything else is an excuse and a rationalization. Unless you are only 14 years old, in which case, you just need to wait a few years. How can we extend this mentality to life outside triathlons? You can be anything you want, anything you dream. If you are willing to do the work, take the risks, and - most importantly - take action. 9. The human race is amazing. Like everyone, I’ve had a lot of challenging life experiences over the past 40 plus years. I’ve battled cancer, I’ve finished grad school, I’ve been divorced, I've spent long months waiting for the next season of Game of Thrones. Nothing inspires me as much as watching athletes battle through a triathlon. I was racing in the Ironman 70.3 Hawaii in Kona two years ago, struggling against the heat to finish the run portion. I was jogging next to another triathlete – a women in my age group – also struggling to keep her feet going. We looked at each other, high-fived, and said “let’s run together.” A perfect stranger. We lifted each other up, we ran faster together for the last two miles of the race. Triathlon is an amazing spectacle. Moments like that – which are the rule not the exception – restore my faith in humanity. Look around you…my bet is, you know a lot more amazing human beings than you think. Who can you celebrate today? Who helps lift you up? 10. Everyone cries when they cross the finish line. And they should. The memory of crossing the finish line at Ironman Florida more than 9 years ago is still incredibly potent. When I close my eyes, I can still see the crowd, a mile from the finish line, throning against the race barriers, cheering hysterically. I can hear the faint strains of the stereo system at the finish line over my breathing as I continued to run. I can see the lights of the finish line glowing in the early Florida evening. I can’t feel my feet; truly, I have no sense that my feet are even hitting the ground. But, I continue to accelerate, effortlessly sprinting after nearly 14 hours of racing. The crowds at the finish chute are chanting my name. Huge, hot waves of emotions crashing over me as I sprint the last 200 yards. My feet cross the line. 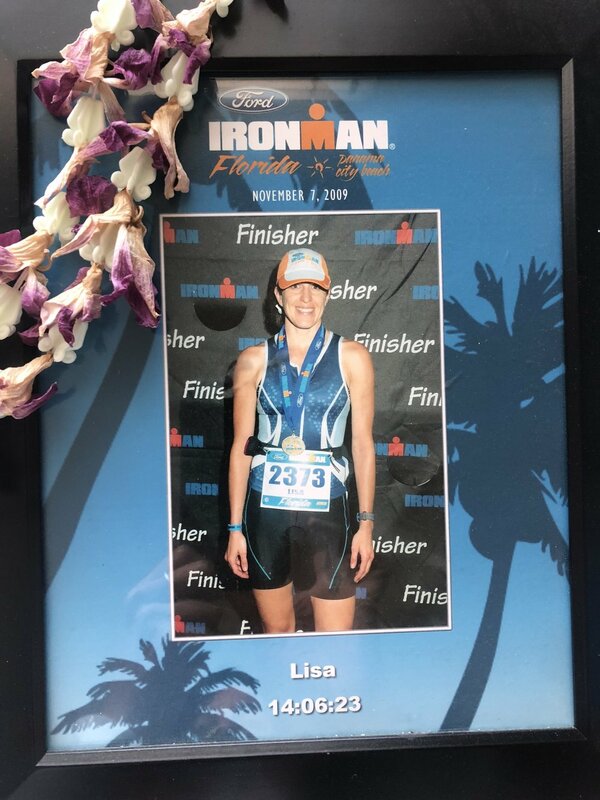 I hear the announcer say: “Lisa, you are an Ironman!” My tears are flowing now at the finish line; the elation is tangible and potent. Volunteers grabbing my shoulders, the cold metal of the finishers metal bumping against my stomach. My sister, Angie, hugging me. I’ve never cried so much without being sad. I never knew what happy tears felt like before that day. I’ve talked to other athletes about that moment and everyone has felt a similar wave of emotions. And they should! Months of work. Hundreds of hours of struggle, strain, and sacrifice. Looking back on my race experience it’s clear to me that I participate in triathlons not for the race in its entirety. I race for the 15 seconds before I cross the finish line. That 15 seconds of certainty, of knowing that you made it, that you have arrived. Just typing that line, I can feel my eyes well up. Why wouldn’t you keep chasing that feeling? What would you do to feel that way? Thanks for reading! Until next time, keep living your best life! Seasons are changing…so let’s get baking!